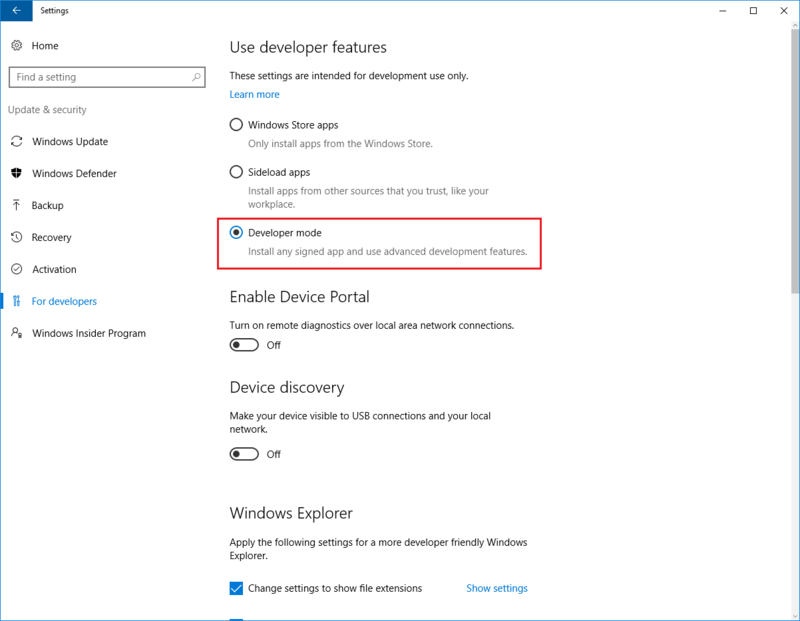 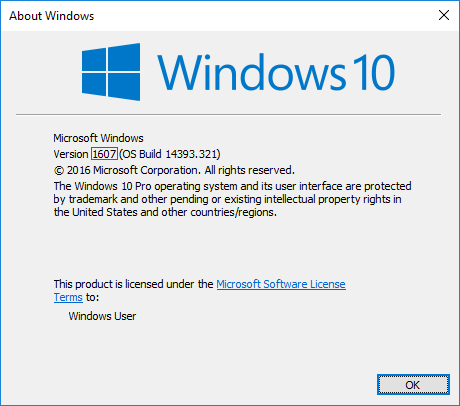 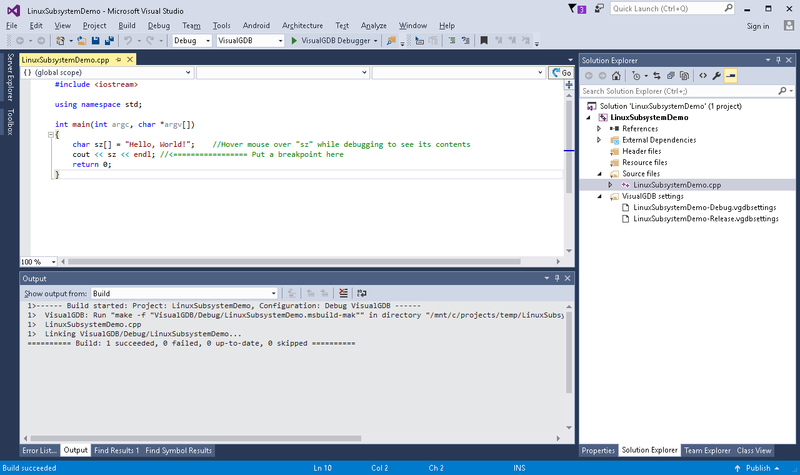 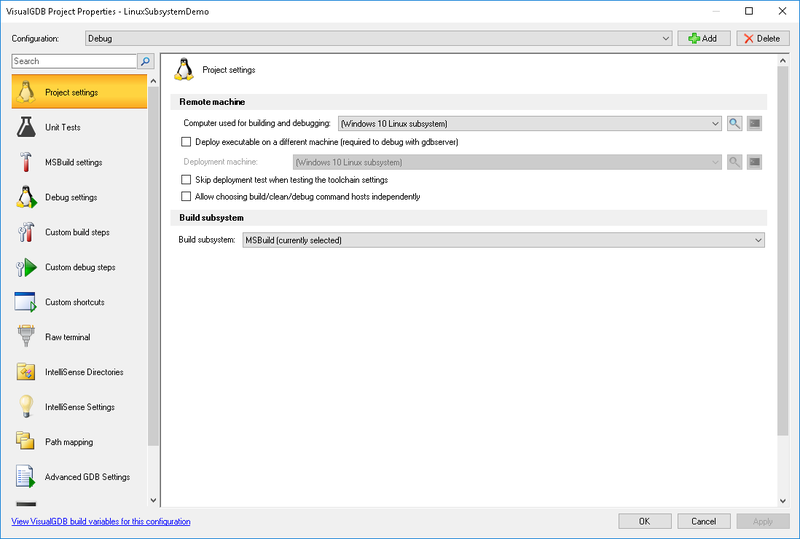 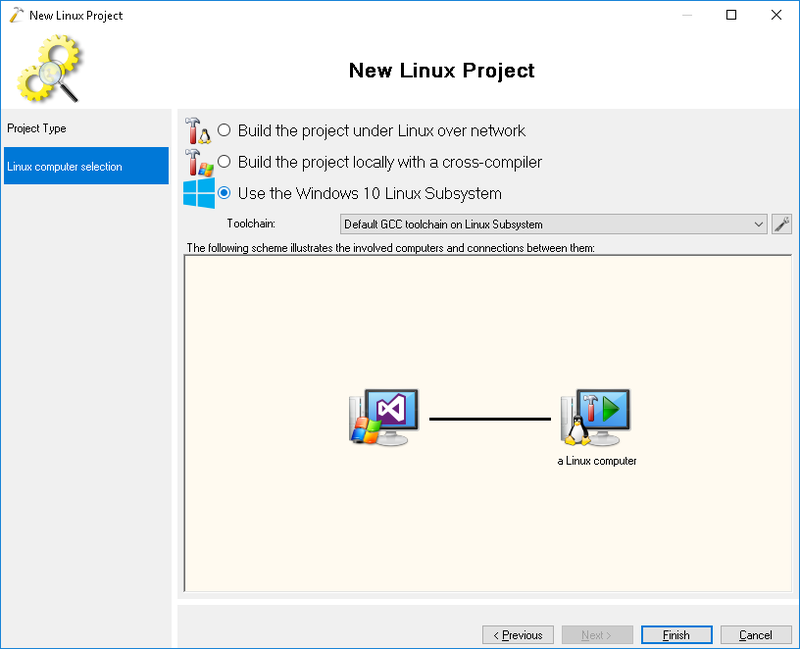 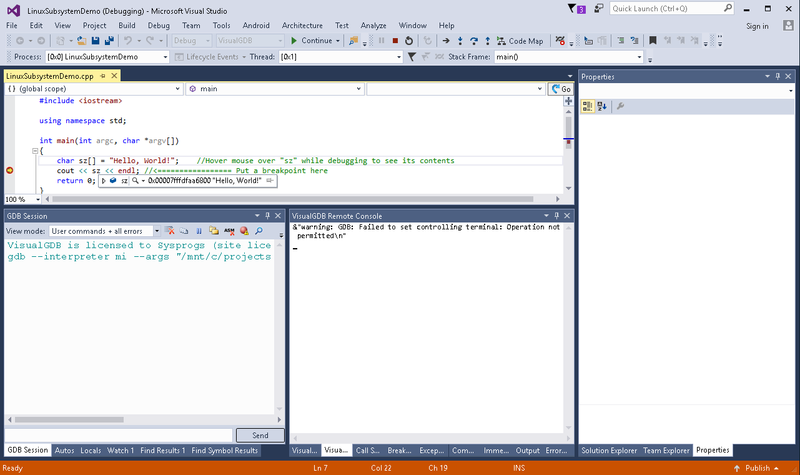 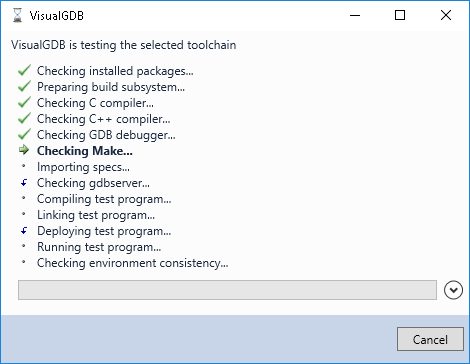 This tutorial shows how to use the new Windows 10 Linux subsystem (lxss) to develop Linux applications from Visual Studio. 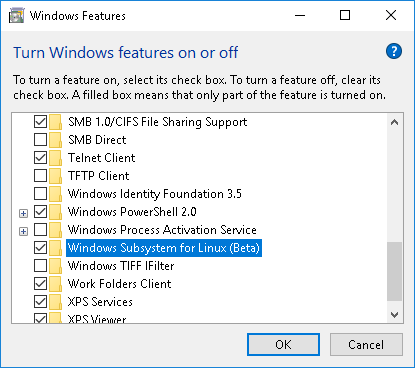 The Linux subsystem allows running native Linux applications side-by-side with the Windows processes without installing a separate virtual machine. 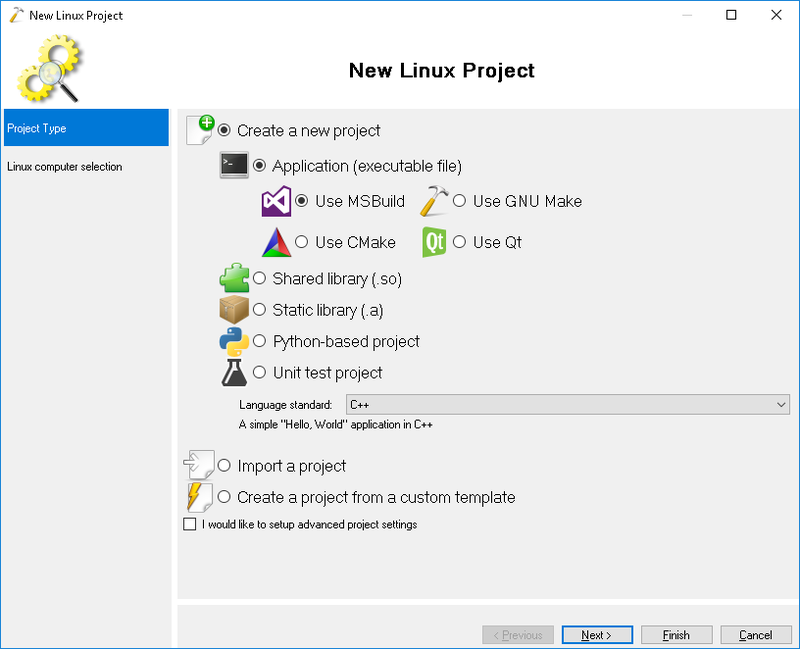 This improves performance and allows quickly testing out your Linux code without installing a separate operating system. 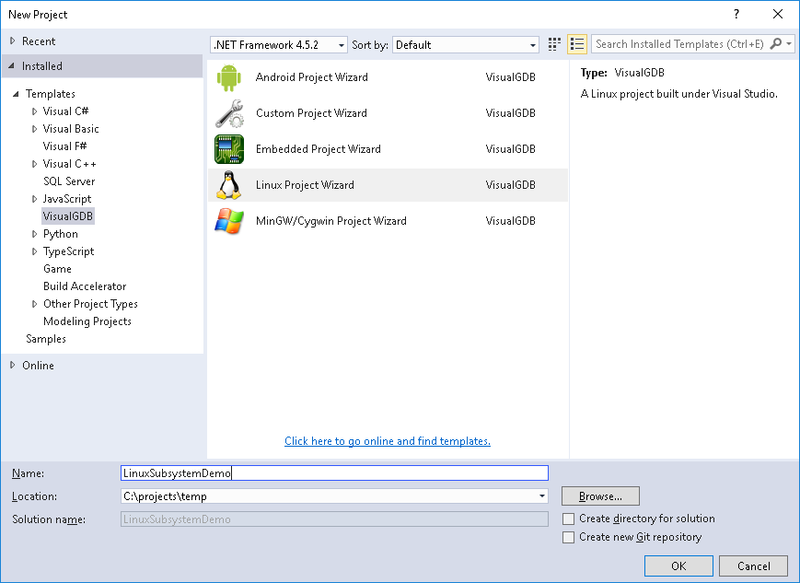 When the project is created, build it via Build->Build Solution: VisualGDB will automatically convert the Windows project path to the /mnt/<drive>/path form used by the Linux subsystem and will automatically configure IntelliSense to look into Linux include directories under %LOCALAPPDATA%\lxss\rootfs.